Our office offers a wide selection of frames for both children and adults, and you will not have to pay fancy boutique prices! Langner Eye Care carries nearly 100 new fashion frames priced at $90.00 with an optional warranty available. You will also find a large selection of adult and children’s designer frames. See our product section to view a sample of some of our current, reasonably priced eyewear. 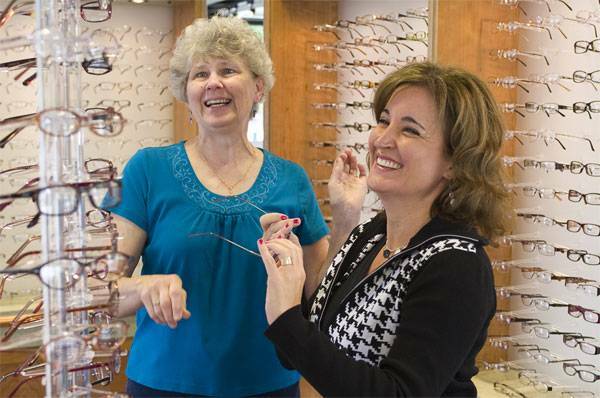 Our expert staff will make selecting the perfect frame for you easy. We will help you wade through the confusion of lens options to make sure that that your new glasses perform for the tasks you need. Langner eye care also has its own finishing lab, enabling us to make your glasses onsite in many cases. In addition to ensuring the quality of your glasses, we can offer very fast turnaround on making your new glasses.